Though still relatively small in number, the congregation is welcoming, open and diverse. Our common vision entails deep exploration of our past, present and future. 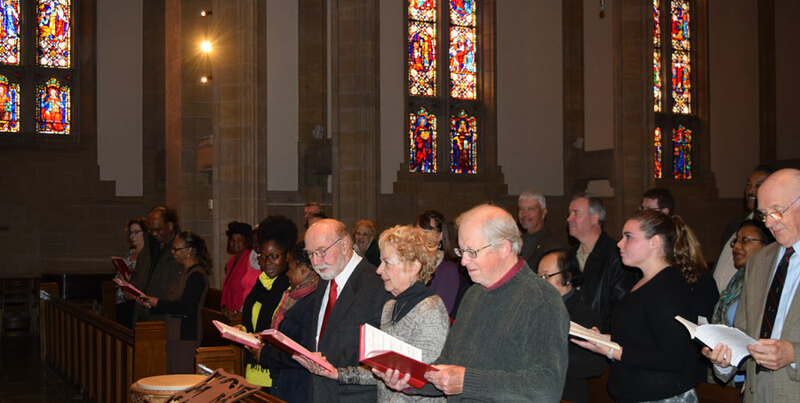 We draw strength from the Biblical message, the life and teachings of Jesus, the global history of the Church and our service in Albany, representing the Methodist tradition for nearly two centuries. We constantly seek new ways to extend understanding of the depths of the past to persons of all ages so that we may be an authentic incarnation of God’s love within and beyond the church doors. As we look to the future, we know that our collective and individual discipleship must address the widespread injustice in our society and world, the disregard for the care of our planet and the violence, greed or simple indifference that invade so much human interaction. So both past and future guide our present actions, again both collectively and individually. These take many forms, from participating in the Crop Walk, to Bowling for Beds to raise funds for the homeless shelter, to serving food in the breakfast program or distributing food at the pantry. We do these things, and the others too numerous to name, in the knowledge that God sends us into the world to accept the cost and discover the joy of discipleship carrying with us, despite ourselves, the peace of Christ and the love of God given through the gifts of grace.